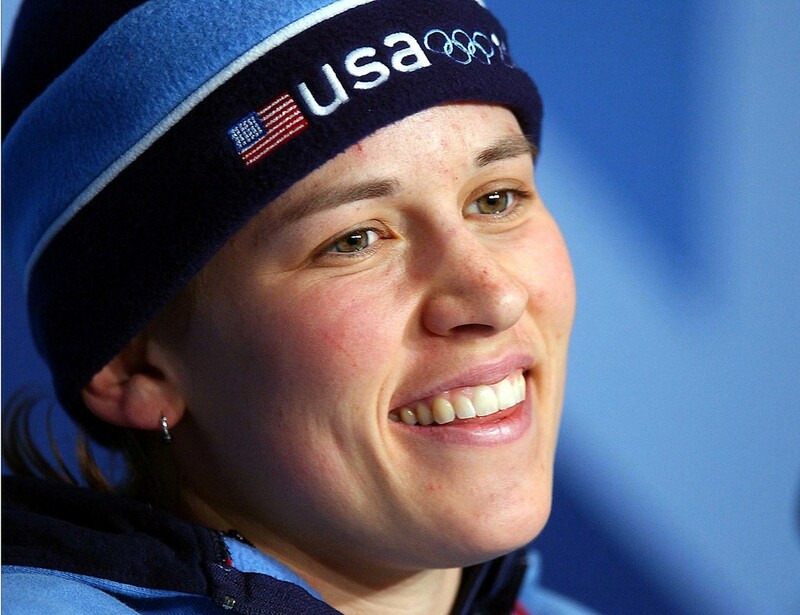 WASHINGTON, Feb. 20, 2002 -- A soft-spoken National Guard soldier steered her two-seat bobsled to a gold medal Feb. 19 in the first women's bobsled competition featured in the Olympic Games. Spc. Jill Bakken, 25, of the Utah Army National Guard and the Army World Class Athlete Program and civilian brakeman- pusher Vonetta Flowers of Alabama drove into the pages of Olympic history. The unheralded USA-2 duo's two-run total time of 1:37.76 seconds at the Utah Olympic Park beat two German teams that slid to the silver and bronze medals. The better-known USA- 1 team of driver Jean Racine and brakeman Gea Johnson finished fifth. Bakken's the first World Class Athlete Program member ever to win Olympic gold, according to Army officials. Flowers became the first African American ever to win Winter Olympic gold -- and during African American History Month. The two are the first Americans to medal in Olympic bobsledding since 1956, when the U.S. men claimed the bronze. "It's an amazing feeling. We had a lot of fun today," Bakken said afterward. "There was a lot of tough competition, so we definitely had our work cut out for us. The Germans are tough teams to beat. I just knew that I had to put in two solid, clean runs." The duo had to battle back from injuries to make it to Salt Lake. Bakken underwent back surgery and two knee operations in the past four years to earn her shot at gold. Flowers, 28, was a track and field star at the University of Alabama at Birmingham. She originally set her sights on representing the United States at the Summer Olympics, but injuries ended that dream. She switched sports and hooked up with Bakken in December. "I knew we had to have a good start, and I knew we were going to do really well on that," Bakken said. "I was thinking about how I needed to get down the track clean." It was also a golden moment for two other Army Guard soldiers, Spc. Bill Tavares of New York and Sgt. Tuffield "Tuffy" Latour of Vermont. They are women's bobsled team coaches and members of the World Class Athlete Program. Tavares, head coach, is a three-time Olympian who rode the luge in the 1992 Winter Games. Latour is the driving coach. His grandfather was a bobsled driver for the United States in the 1948 Games. Bakken joined the Utah Guard's 115th Engineer Group headquarters in Draper in March 2000. She became an Army world-class athlete after basic and advanced individual training in mid-2000. "She went from boot camp back to bobsledding," beamed her mother, Peggy Smith. "I knew she had it in her. I'm so happy for her. She's gone through a lot of injuries and come back to do this." Bakken competed Feb. 19 in her hometown of Park City, Utah. About 40 members of her family witnessed the gold medal efforts that included a track-record time of 48.81 seconds during the first run. Bakken is an American bobsledding pioneer. Born in Portland, Ore., she attended the first training camp of the fledgling U.S. women's team in 1994 when she was a high school junior. That made her, at 17, the youngest bobsledder in the sport's history. "I had a ton of relatives there. It was awesome," Bakken said Tuesday night, admitting that she thought she was dreaming. "They've supported me through the whole thing - not just this race - but ever since I started sliding. Jill drives the track in Salt Lake City at Utah Olympic Park. "I never really wanted to quit. There were tough times injury-wise, but I never wanted to quit. I wanted to go the Olympics, and now I'm here," she said.